Sean Mathias directed one feature film, Bent, and what a way to come in/go out. We’ve seen countless Holocaust stories turned into movies, both unbearable truth and shocking fiction, and we’ll see countless more; Hollywood knows that it’s a genre that stirs us into action and that we’ve shown no signs of giving up on supporting. And I don’t fault audiences for that; this era is definitely history we dare not forget, and I applaud directors for keeping it in focus, no matter how many times they go back to the well or how easy it may be to elicit emotion from these tales. But Mathias brings us something we think we understand from a direction we didn’t see coming, and for that deserves credit for, if not making a perfect film, crafting uniqueness when we weren’t sure there was any left. Max has few cares as Germany enters war and the Nazi party takes over; he lives a life of frivolity among the young and the restless. He dates a dancer, beds anyone he chooses, frequents nightclubs, wheels and deals; Max is rarely sober and seldom sees life soberly, he would much rather use any money he ekes out of his wealthy family to find parties and to seek excess. But one fling too far, as they say, and Max’s latest conquest is about to get him into a new world of trouble. He takes home a Nazi officer because he is beautiful, but when the SS come to the door they aren’t there for tea. Max and his boyfriend are forced to flee for their lives, scraping by on their way toward Amsterdam, toward freedom, by whatever means necessary. Picked up before they reach the border, the pair are identified as homosexuals and packed onto a train headed for Dachau, to be processed and most likely killed. On board, Max renounces his lover, his sexuality, and claims to be Jewish, desperate for a chance to stay alive one more day, to see the sun shine one more time. Thus begins his hellish imprisonment at a work camp, barely eating enough to live, moving stones every day in an exercise of mental torture, losing his humanity at the hands of those he once catered to. But a ray of light emerges in the form of Horst, a man who wears the pink triangle that should also have been Max’s. The duo remain standing only by holding each other up, becoming a symbol of love and hope in a time of ultimate despair. Bent is done in a particular style that’s part historic drama and part black box cabaret. Especially at the beginning, when we meet Max and get to see him in his element, the film almost feels fantastic and dreamlike, with rubble as sets, a musical number, and very little dialogue. 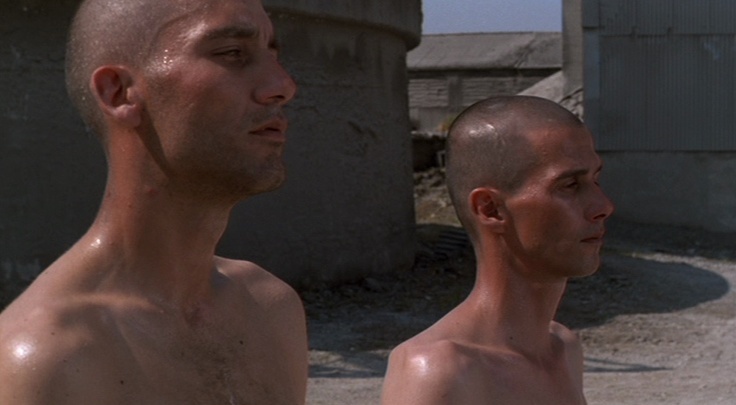 It’s a stark contrast to later in the story, when the action takes place among the factories of the death camp, and perhaps that was the intention all along, to create two very different worlds with two very different atmospheres, almost like two completely separate movies. If that was what Mathias was going for then he succeeded, and we should remember that this is also a play, written by Martin Sherman, who wrote the screenplay for the film as well, so that explains the unusual air at the beginning, which ultimately gives way to much weightier elements later on. One remarkable point about Bent is its cast, which is sprinkled with stars, some hidden in the backdrop where you don’t even notice them, mostly because they were not yet famous. 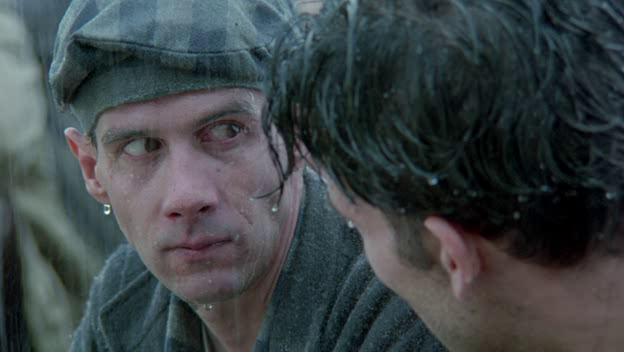 This was Clive Owen’s first big role, Lothaire Bluteau is a French Canadian character actor, but the smaller parts are where you’ll find surprising names pop up: Ian McKellen, Paul Bettany, Jude Law as a stormtrooper, Rachel Weisz as a prostitute, Sadie Frost from Dracula, Nikolaj Coster-Waldau from Game of Thrones, and even Mick Jagger. Yes, the Mick Jagger, and he has a musical number and it’s all very weird. Everything about this movie is odd, even its touch of humor throughout, but there’s also no denying its power when it chooses to wield it. 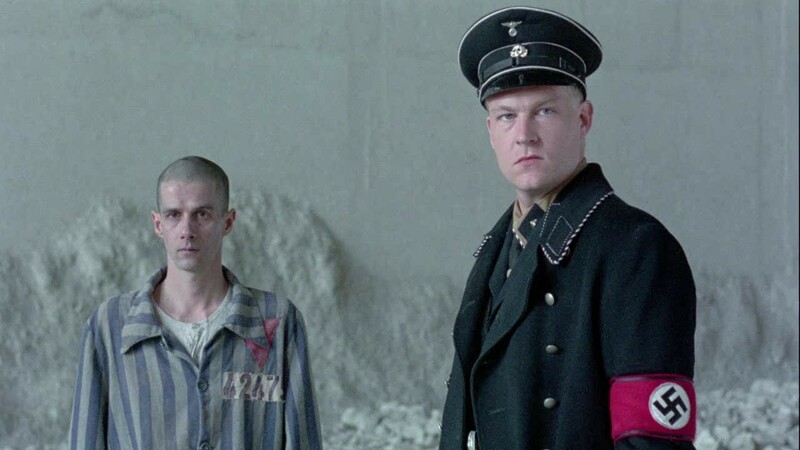 I don’t think Owen was a very good choice for the lead, he always seemed a bit out of touch to me, but Bluteau was fantastic, the message here is powerful, and although the film itself doesn’t have the expertise behind it to become something fabulous, it solidly deserves its A for effort. Video – With an aspect ratio of 1.78:1 Widescreen and shot using Arriflex cameras and lenses, the video quality of the Blu-ray disc is nowhere near the quality of modern films presented on this medium, but no one expects that to be the case, so it’s OK. The picture quality isn’t terrible, and the film transfers fine, there’s simply no reason to watch this movie on Blu-ray if you can get it on DVD; the ceiling was never high enough for that to matter. Audio – The disc was done in English 2.0 Stereo, with subtitles available in English SDH. That’s it for the audio options, and while the quality is fine, it’s also nothing to write home about. There is an original song at the beginning, which was written by the screenwriter and performed by Mick Jagger; I assume it’s also in the play, though I can’t say for sure. Extras – There are a few special features available, if you’re looking for more. Behind-the-Scenes Footage runs 11 minutes, and delivers just that. Streets of Berlin in the song I mentioned, and there’s a music video for it here. Also, there are 7 interviews with cast & crew members, as well as 4 trailers for this & other films. Lastly, a small advertisement/informative piece, About Film Movement. Recommended. 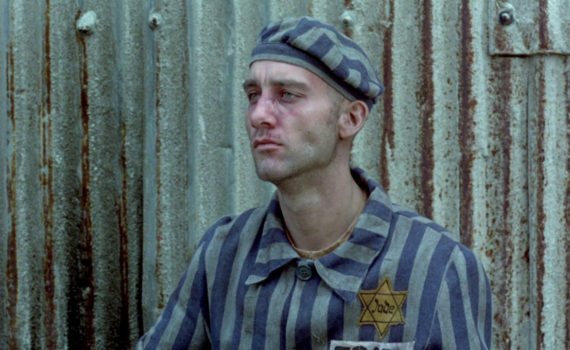 Bent is a Holocaust film from a completely different angle, and not simply because it highlights the plight of gay men during this time, but also because of how it chooses to focus on the individual, largely putting the fate of the group aside and keeping an eye on the struggle of one man, one moment at a time. In this way it differs from others, while telling us the same story we’ve heard countless times before, but need to have repeated to us every single day lest we forget what happened and how easily it could happen again. For all of that, this film deserves our respect, setting aside whatever we might think of its flaws, rankings, etc. The video won’t distract because you’ll forgive the quality, the audio is fine without being memorable apart from one song, and there are a few bonus features, so the technical aspects won’t let audiences down. And neither will the impact of the film itself, which should and will be powerfully felt.